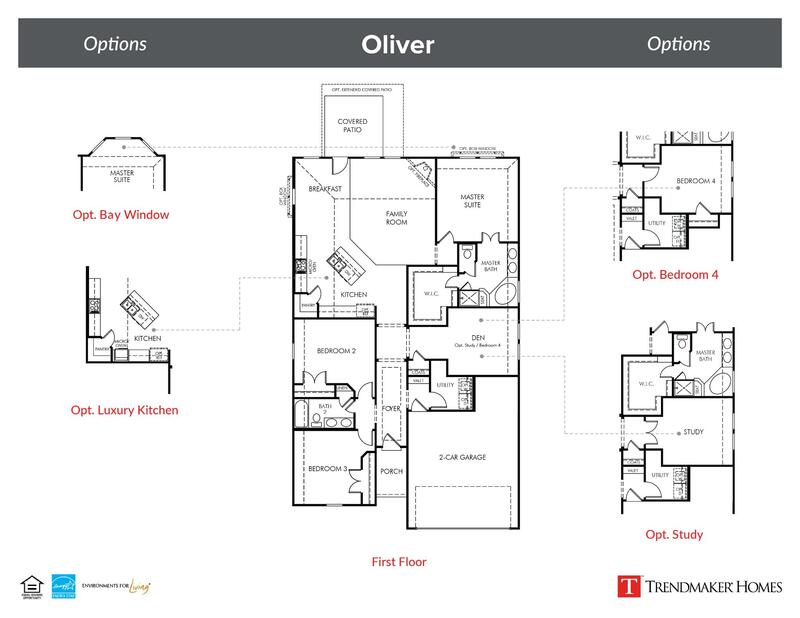 This popular one-story plan features spacious rooms and an abundance of natural lighting with plenty of room to grow! The trendy kitchen includes a center cooking island with additional seating space, stainless steel appliances, a corner walk-in pantry and a breakfast nook area all open to a cozy family room. The private master suite includes a gorgeous master bath with a corner tub and separate shower with a seat and a large walk-in closet. Additional bedrooms and full bath are located towards the front of the house with a separate den area and utility room.